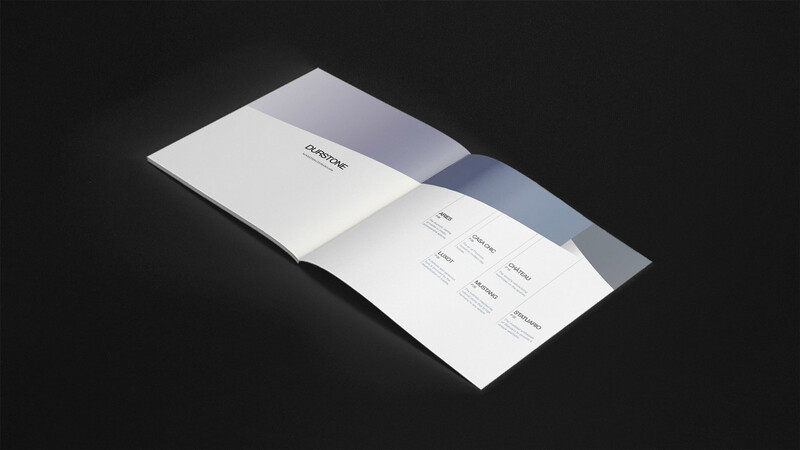 Following the editorial line created for Durstone, we developed their latest novelties catalogues: b&w minimalist design, clean lines and a touch of colour on the covers. The first catalogue was designed to be launched at Cersaie fair 2017, including Aries, Casa Chic, Luxot, Mustang, Scott and Santuario floor tiles collections and the wall tile collection: Luminar. The second one was the novelties catalogue that Durstone brings to Cevisama fair on February 2018, including this time a new collection, Château. Photorealistic renders were created for both catalogues to enhance all the possibilities for Durstone & Q collections.